→Tecademics Scam: The Most In-depth Review of 2019! So is Tecademics a scam in 2019? Is Jim Piccolo & Chris Record scam artists? Welcome to my Tecademics review! This is the most updated and in-depth Tecademics review you will read in 2019! Tecademics went through a lot of changes in the recent years, there are many outdated Tecademics reviews online that still talk about the old version of the company. This review is going to give you the updated facts and changes that happened to the internet marketing course. I'm also going to share with you some alarming red flags you must keep in mind! Sounds good? Are you ready? Let's jump right into the review! Founder: Chris Record (but has sold it to IQup) the current CEO is Jim Piccolo. Best for: Everyone that wants to improve their internet marketing skills. Summary: Tecademics is a legitimate course that is helping a lot of students improve their internet marketing skills and start their own online businesses. Since the company was sold to IQup, there have been tons of complaints and problems, I have put together a list of the red flags and alarming scam signs inside this review! Recommended? Yes, if you can afford it and have time to travel to Arizona. Tecademics is an online internet marketing college where you have the opportunity to learn different ways to make money online. They basically offer you many courses on different topics related to internet marketing. If you join Tecademics you are forced to choose a specific course like you would do in college and study it. I'm going to share with you all the courses available at Tecademics as we move forward with this review. In case you're curious and wondering what does the word Tecademics mean. 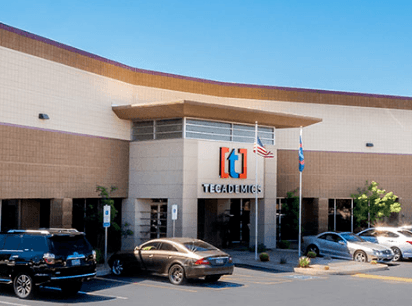 The difference between Tecademics and most online marketing courses is the fact this company has a physical campus in Arizona, USA. The goal of Tecademics is to offer you the best courses and knowledge about internet marketing, they have a lot of students on their campus. Here's a video of the founder of Tecademics Chris Record explaining the mission and the vision of Tecademics. The Story - What Happened to Tecademics? As noted above Tecademics went through a lot of ups and downs. The founder of Tecademics is Chris Record, he is a really successful internet marketer, I heard about him in a Facebook ad where he raps about Tecademics and Shopify. So the story is Chris Record and Jim Piccolo own Tecademics, but Chris wants to provide online courses on Tecademics but Jim wants to focus only on traditional classrooms and live streaming events. Chris doesn't agree with Jim piccolo which resulted in him leaving the company and selling the rest of his Tecademics stock to Jim. Chris Leaves Tecademics & New CEO. There are many sources that say Chris left Tecademics and sold it to an unknown company but other sources confirm that the company that has bought Tecademics is IQup which belongs to Jim. According to DirtyScam.com Jim Piccolo has had many lawsuits against him and has filed for bankruptcy. All his businesses fell apart and many people are concerned about Tecademics ever since Jim Piccolo took over as the chairman. After doing my research I realized that Chris Record has sold his share of Tecademics and all the curriculums to IQup. The latter belongs to Jim Piccolo. IQup used to be called Niveau Riche which is one of the many companies of Jim that fell apart. After Chris Record has sold Tecademics to IQup, he started his own business called Lifepreneur and he is also going to launch soon a course called Digital Agency Builder. Below I am going to share with you what's going on with Tecademics, their new business model and details about the courses. This info I'm about to share with you is lacking on most Tecademics reviews you find online. Below I'm going to share with you the most important updates and changes that happened recently to Tecademics. The old Tecademics business model used to be a multi-tier affiliate program that is more like an MLM/Pyramid. 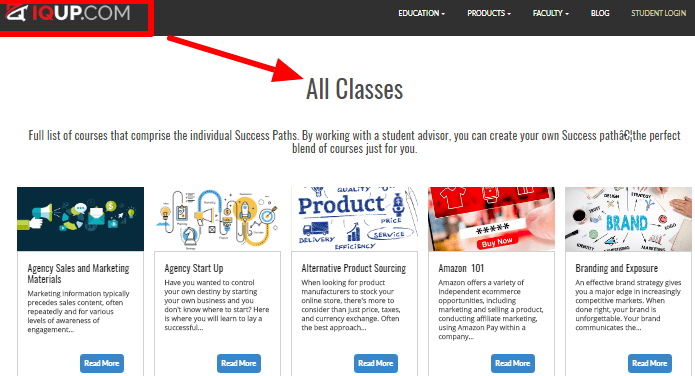 You could earn a certain percentage of each sale you make by selling these courses but now that's not possible anymore since Tecademics have discontinued their affiliate program. 3) No More Online Courses! As I said above Tecademics used to offer online courses to their members, but now they don't anymore. As a Tecademics student now you have to travel to Arizona and attend classes in order to take their courses. All the Tecademics curriculums have been sold to IQup. From what I could understand all the Tecademics members will have to attend the classes in Arizona as there are no courses online on their official website. But the students will have the ability to access the online courses and live streamings on the IQup website. So below I'm going to share with you the Tecademics courses. As said above the Tecademics courses are available to anyone that can travel to the physical college on Arizona but you have the ability to take the courses online but from IQup. Tecademics does not offer anymore the 4 courses I talked about above. There are 16 paths to choose from, as a student, you have to pick one path (aka course) and go deep on it. After you finish the course you will be a master of email marketing which is a VERY profitable asset and skill to master! And if you choose the Pay per Click path you will learn the ins & outs of pay per click (aka PPC) wish will teach you how to spend money on ads and coming back with great conversions & ROI without breaking the bank. There are many companies that will pay you big bucks to become their PPC manager. A Cheaper Internet Marketing Course? What I like About Tecademics! #1 Tecademics is a Physical School! Just the fact you will have classmates to talk to about your online business and stuff is very exciting. You get to meet fellow entrepreneurs and like-minded people that have the same goal. Most internet marketing courses are VERY broad and general, with Tecademics you get to choose a path and focus on it only. What I Don't Like About Tecademics! To enjoy the Tecademics classes you have to travel to Arizona, they don't have any headquarters in other states. But Tecademics have announced that they will be expanding their colleges worldwide but I don't think this is going to happen soon as it will take a lot of time. As for now, you have to spend money to fly to Arizona. There is no information about the current courses pricings, but in their past in-person events they used to charge +$10,000's. Since these are actual classes and not just in person meetings I assume the prices to be at least the double of the past in-person live events. Also, you are going to need a lot of expensive tools and extras to buy in order to complete your chosen path. So yeah, this is an expensive course and remember that you have to book a flight in order to go to Arizona which is another cost. Why Fly to Arizona When You Can Work from Home? Here's My Top Recommendation Here! 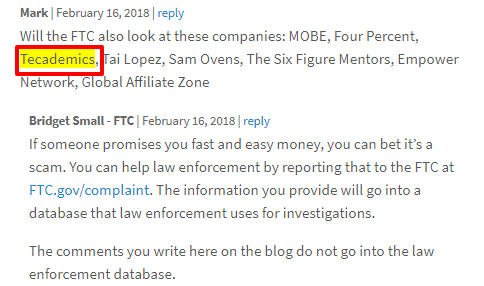 #4 Is the Tecademics CEO (Jim Piccolo) A Scam Artist? I have read some VERY concerning and alarming posts online about Jim Piccolo. There are a lot of posts and negative reviews online about Jim Piccolo that call him a big scammer. I have read a post on a Facebook page called the Jim Piccolo scam. In this page I read that Jim Piccolo collects millions of dollars by pre-launching concepts of his businesses when people buy his pre-launched programs he under delivers and never gives the money back when people request refunds. That's why he has like 5 companies that fell apart and looks like every 1-2 years he rebrands his companies to avoid getting exposed. Jim was even sued & ordered to pay $5.57 million because of his unethical marketing tactics. Of course, these are not my own words this is stuff I have read online from multiple sources. Below I'll leave screenshots of these complaints and their relevant sources for you to check out. #5 the Tecademics Shopify 90 Days Challenge Scam! So Tecademics & IQup run a Shopify 90 days challenge which is a contest where the participant that generates the most sales via Shopify dropshipping is going to win some interesting prizes. There was also a 90 Days Facebook group where the participants & affiliates are trained on how to make sales. The first prize was $20k. Colton Fitzgerald is one of the Tecademics affiliates who managed to make the most sales and was presented in front of all the other Tecademics affiliates in the Tec Talk 2017 event as the $20k prize winner. When Colton tried to call IQup & Tecademics to collect his prize no ones has responded or picked up the phone. He's been trying to contact them for months but no response, then Conor started to think about getting an attorney to fix this problem. 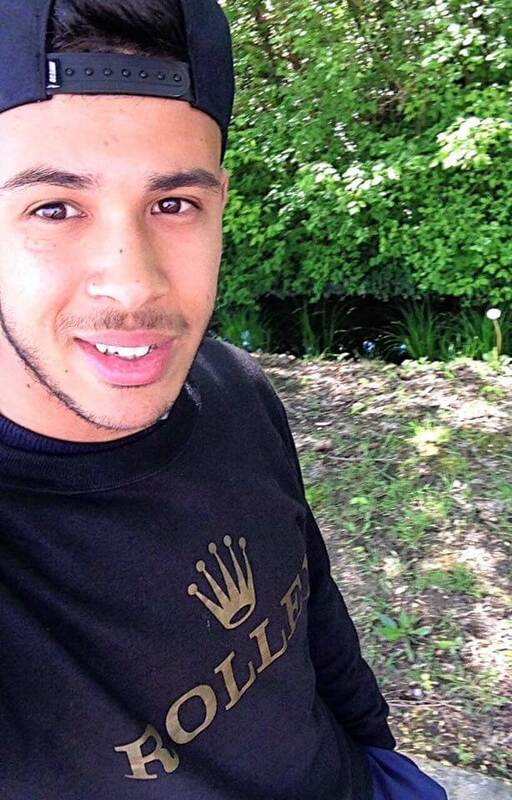 You can read the full story on the Behindmlm website where they go in more details about this. Below you can watch the $20k giveaway video. Well, I have to say that this is a big fat red flag. There are tons of complaints about Tecademics online, most of them are related to the prices of the products which are not cheap. #6 Tecademics has an "F" BBB Rating! Since Tecademics has many negative reviews, their rating at BBB reflects that. The Tecademics rating at BBB is F which is the worst rating. There are also 10 complaints. Here are some screenshots of them. Although there are many scary red flags about the company, Tecademics is NOT a scam they offer some VERY good courses that lots of their students enjoy and find very useful. Obviously, nothing is perfect and there are many things I did not like about Tecademics which I have talked about in this review. Other than that Tecademics is a legitimate company that I recommend even though it's very expensive. Don't forget to tell us your thoughts about this company and your experiences! Tecademics is a good course, but unfortunately, it's very expensive. Don't worry I have a great training that I recommend if you want to work from the comfort of your house and build a full-time home business. This training is free to try and only costs $49/month there are absolutely no upsells! Thanks for this information about tecademics I haven’t heard about this site until today and after reading this article i really understood alot about this site though it isn’t totally a scam site it’s courses offered are too expensive and this is one major disadvantage of this platform. It’s surely not recommended by me also. Yes, the Tecademics products are not a scam but so expensive for the average Joe! Provided that Tecademics is a real company I think is recommendable. The school is a live school with physical structures and I think that alone guarantees it’s sustainability. If it is a scam, then they wouldn’t have physical structures. There is no business without critics and for that reason you will definitely find people who criticize Tecademics. Another reason why I like tecademics is because they have assorted training which they offer. As for me I like Tecademics. Yes Kenechi, that’s the same reason why I recommend Tecademics! Thanks for this review on Tecademics. I must confess that this is my first time of hearing about Techademics and Chris Record. It is not a surprising thing to see two partners doing well go their separate ways because of one minor argument. From your analysis, it seems Tecademics got bedeviled with trouble immediate Chris left. That name Jim Piccolo rings a bell, but I cant place vividly where I have come across the name before. It baffles me that one needs to travel all the way down to Arizona just to attend classes. This review is an eyeopener to people aspiring to get involved with Tecademics. At least after reading the review, they will know fully what they are getting involved with. Thanks a lot for your comments Gracen! This was an interesting an captivating read. It was like you were telling a story. Tecademics seems like a good program but the fact that it does not have an accessible online presence makes it rather difficult. Turning it into some sought of an institution wasn’t a bad idea but I think they should work towards having an accessible online presence to anyone that is willing to become part of their program. Hi Jay, yeah Tecademics was relevant a few years ago, now with Jim as a chairman things are not going well. Thank you for reviewing Tecademics. I was very surprised they have the gut to post an empty campus tour video. that only is a strong signal of what is going on behind the scene. I was a victim of many cases claiming to everyone enrolling that they will make a ton of money online. I went for it many times and lost money. I don’t think, to my knowledge, that there is a better formula than Wealthy Affiliate right now. Hi, Antoinette thanks for your visit! Sorry to hear that you fell for many scams, and I agree Wealthy Affiliate is a really good training for newbies!